We always use conditional formatting to highlight the cells with certain color from the whole data in the Excel worksheet. Spire.XLS also supports to create a formula to apply conditional formatting in Excel in C#. This article will show you how to apply a conditional formatting rule. View the steps of Microsoft Excel set the conditional formatting. Step 1: Choose the column B and then click "New Rule" under "Conditional Formatting"
Step 2: Select the rule type, enter the rule by adding the formula and then add the highlight color for the format. Here comes to the steps of how to set the conditional formatting rule by Spire.XLS in C#. 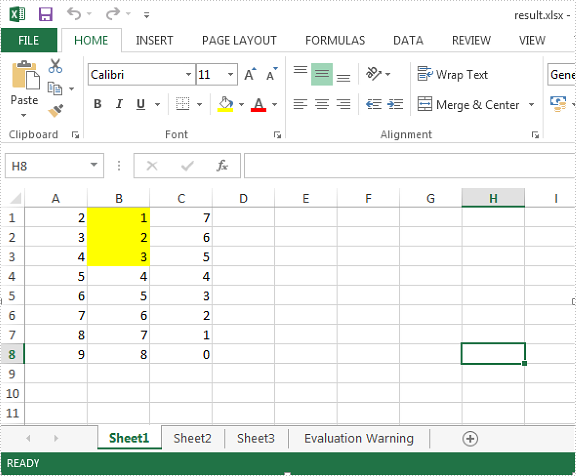 Step 1: Create a new excel workbook and load the document from file. Step 2: Get the first worksheet and the second column from the workbook. Step 3: Set the conditional formatting formula and apply the rule to the chosen cell range. Step 4: Save the document to file.